Reliable sources within Royal TV station have told Taarifa that the media house has been closed, citing poor return on investment. Sources say that the station has made losses. The investor, Dr Simon Gicharu, has since discovered a much more lucrative business in the education sector. By press time the station was still on air, but its employees were informed of its closure earlier on Tuesday morning by Oscar Kimanuka, who oversees Gicharu’s businesses. Termination packages will be processed immediately. However, the Radio station will not be closed. It will be relocated to the new building of Mount Kenya University in Kicukiro. The closure will affect several employees including journalists, editors and technicians. Previously, the station had laid off a number of employees in the move to work within its financial limits. Meanwhile, Afri – Reliance Holdings, a subsidiary of Mt. 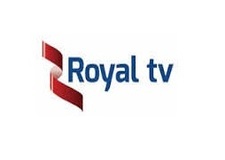 Kenya University, Royal TV had bought off Lemigo TV in a bid to have the wider local viewership. Our source said that the investor is looking for a Rwf 450 million buyer, who will take the license, equipments and staff.